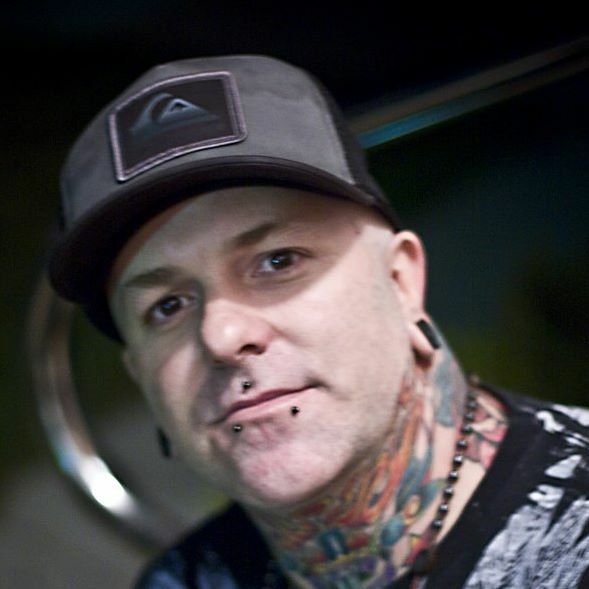 Dee, has over 20 years experience as an artist and businessman, is the brains behind Peacock’s Tattoo Studio. An award winning artist with many featured articles in leading tattoo publications, Dee tattoos some of today's top music talent including members of Linkin Park, Papa Roach, Mudvayne and others. Dee has taken this opportunity to bridge over an already promising music career with his band. Dee also works in other art mediums as well, and adapting a use of color ethic from airbrushing and painting, he combines all of the necessary elements to create finished works with unending appeal.